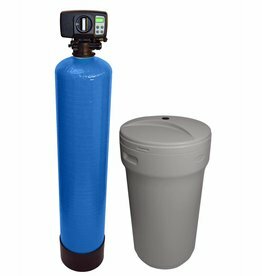 The water softening system IWS consists of the elements GFRP pressure tank, actuator and brine tank. 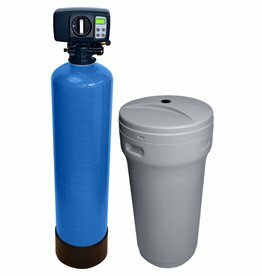 The system elements of the water softener IWS are set up separately from each other. 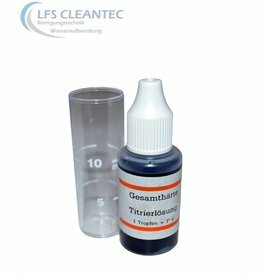 A salt storage of up to 100kg as well as resin volumes up to 50 liters are possible because the GFRP pressure tank and the brine tank are set up separately. 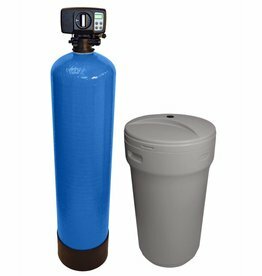 The pressure tank is filled with a high-quality softening resin (cation exchanger). The cation exchanger has a particularly high absorption capacity and a durability of about 10 years. The regeneration takes place with brine. When operating the decalcification system almost no subsequent costs emerge. You only have to refill the salt tablets. The utilized control valve respectively actuator is the BNT 1650 F. This control valve can be described best with the words simple and reliable. Simple in handling and reliable in operation. Through an integrated flow meter the amount of treated water is measured constantly and the remaining capacity of the decalcification system is shown on the display. The triggering of the regeneration happens quantity-controlled, which means when the capacity of the system is exhausted. In addition to the different programs for the quantity-controlled triggering of the regeneration the actuator also offers the possibility to trigger the regeneration time-controlled or manually. 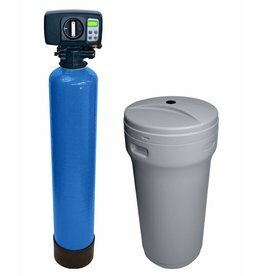 The blending hardness, meaning the degree of hardness that is supposed to reach later the faucet or the consumer, can be easily adjusted at the actuator of the water softener. An adjusting screw is located on the side to the actuator with which soft water can be blended with raw water. Through the blending the desired degree of hardness can be adjusted. 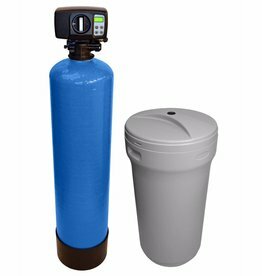 How Does a Water Softener Work and Which Benefits Does it Yield?